A food intolerance isn't like a traditional food allergy—instead, it's an unpleasant reaction to food that doesn't involve an immune system response or the release of histamine (the chemical that causes true allergy symptoms). Many food intolerances (also known as food sensitivities) are caused by deficiencies or reactions in the digestive tract. These food intolerances lead to digestive symptoms such as bloating, diarrhea and gas. Other food intolerances can contribute to symptoms that are not directly related to your digestive tract, such as migraine headaches or even attention-deficit hyperactivity disorder. Although food intolerances can cause problematic symptoms, it's generally not considered dangerous. Still, those who have food intolerances may need to avoid the foods that trigger their symptoms. In addition, they may find that certain over-the-counter medications can help them in some circumstances. When you have a food intolerance, it's not accurate to say you have a food allergy. A food intolerance (also referred to as a food sensitivity) isn't the same thing as a traditional food allergy. In a traditional food allergy, your body reacts to the allergenic substance by mounting an immune system attack spurred on by an immune system component known as allergen-specific immunoglobulin E (IgE) antibodies. This type of reaction happens immediately or very quickly (within seconds to a few hours after you consume the problematic substance). Symptoms include wheezing, swelling, trouble breathing, hives, vomiting and stomach pain, trouble swallowing and a weak pulse. At their worst, true food allergies can be life-threatening. When you have a food intolerance, symptoms are milder than those you would have with a food allergy. In addition, your symptoms will not be immediate, and are not life-threatening. They tend to be mainly digestive in nature (bloating, diarrhea or constipation, stomach cramps, and gas), and may not surface for up to several days after you consume the offending food. There are several possible causes for food intolerance, including a deficiency in the enzymes needed to digest certain foods (like lactose), problems processing certain chemicals (such as caffeine), and even sensitivities to particular additives in foods (such as dyes). It's possible to have more than one food intolerance, and it's possible to have both severe and mild food intolerances. Treating food intolerances generally means removing the offending food from your diet, although there are over-the-counter medications that may help with some symptoms. Lactose intolerance. This is caused by a deficiency in the enzyme our bodies use to digest lactose, a type of sugar found in dairy products. 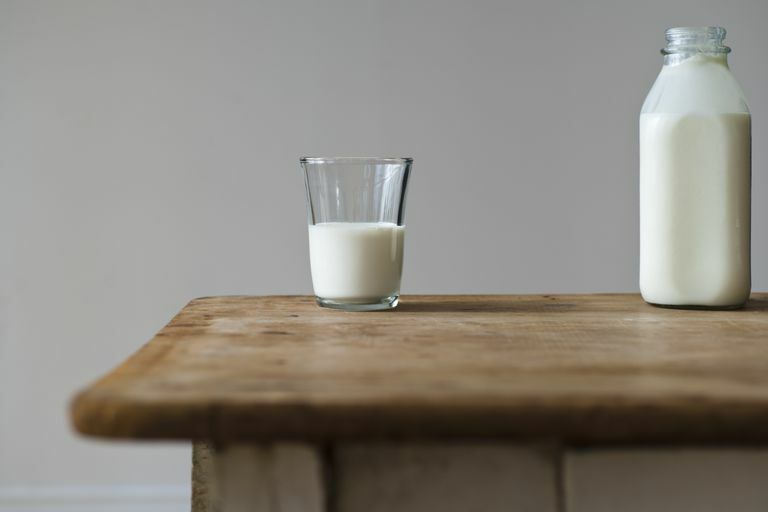 If you suffer from lactose intolerance, you may be able to alleviate symptoms by taking an over-the-counter enzyme replacement such as Lactaid. Certain natural remedies for lactose intolerance also may help. Gluten sensitivity. Gluten is a protein found in the grains wheat, barley, and rye. In some people, consumption of these grains leads to celiac disease, which is an autoimmune condition, not a food allergy or a food intolerance. In other people, the grains seem to cause symptoms of food intolerance, but not the intestinal damage that characterizes celiac disease. The only current treatment for gluten sensitivity is avoiding all gluten-containing grains. Histamine intolerance. Histamine is a chemical that's naturally found in aged foods, such as certain wines, cheeses, and smoked or preserved meats. People who are sensitive to histamine-containing foods can suffer from a variety of symptoms, including stomach pain, diarrhea, vomiting and skin rashes, when they consume these foods. It's possible to limit your consumption of histamine-containing foods. In addition, some people have had success with an over-the-counter enzyme product designed to help your body process these foods. Food intolerance can be difficult to diagnose, and the symptoms overlap with a variety of other conditions, including those of true food allergies and celiac disease (both of which require medical attention). Therefore, it's important to discuss your symptoms with your doctor. She may recommend you undergo further testing or keep a food diary to help get an accurate diagnosis. Alpay K et al. Diet restriction in migraine, based on IgG against foods: A clinical double-blind, randomized, cross-over trial. Cephalalgia. 2010 Jul; 30(7): 829–837. American Academy of Allergy, Asthma and Immunology. Food Intolerance fact sheet. Pelsser LM et al. Effects of a restricted elimination diet on the behaviour of children with attention-deficit hyperactivity disorder (INCA study): a randomized controlled trial. The Lancet. 2011 Feb 5;377(9764):494-503.